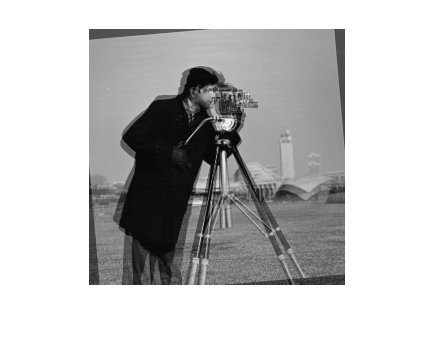 C = imfuse(A,B) creates a composite image from two images, A and B. If A and B are different sizes, imfuse pads the smaller dimensions with zeros so that both images are the same size before creating the composite. The output, C, is a numeric matrix containing a fused version of images A and B. [C RC] = imfuse(A,RA,B,RB) creates a composite image from two images, A and B, using the spatial referencing information provided in RA and RB. The output RC defines the spatial referencing information for the output fused image C.
C = imfuse(___,method) uses the algorithm specified by method. C = imfuse(___,Name,Value) specifies additional options with one or more Name,Value pair arguments, using any of the previous syntaxes. Create blended overlay image, scaling the intensities of A and B jointly as a single data set. View the fused image. Save the resulting image as a .png file. Load an image into the workspace. Create a copy and apply a rotation offset. 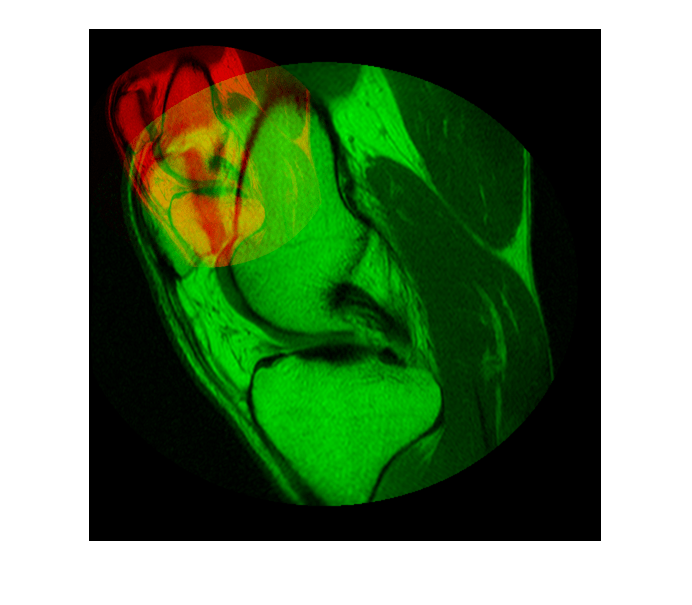 Create a blended overlay image, using red for image A, green for image B, and yellow for areas of similar intensity between the two images. Then, display the overlay image. 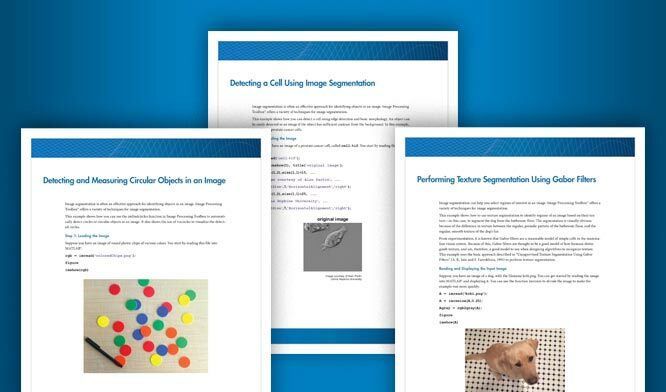 Load an image into the workspace and create a spatial referencing object associated with it. Create a second image by resizing image A and create a spatial referencing object associated with that image. Set referencing object parameters to specify the limits of the coordinates in world coordinates. Create a blended overlay image using color to indicate areas of similar intensity. This example uses red for image A, green for image B, and yellow for areas of similar intensity between the two images. Display the fused image. Note how the images do not appear to share many areas of similar intensity. For this example, the fused image is shrunk for easier display. Create a new fused image, this time using the spatial referencing information in RA and RB. Display the new fused image. In this version, the image appears yellow because the images A and B have the same extent in the world coordinate system. The images actually are aligned, even though B is twice the size of A. For this example, the fused image is shrunk for easier display. Image to be combined into a composite image, specified as a grayscale, truecolor, or binary image. Spatial referencing information associated with the input image A, specified as a spatial referencing object of class imref2d. Spatial referencing information associated with the input image B, specified as a spatial referencing object of class imref2d. Algorithm used to combine images, specified as one of the following values. 'montage' Puts A and B next to each other in the same image. 'independent' Scales the intensity values of A and B independently when C is created. Fused image that is a composite of the input images, returned as a grayscale, truecolor, or binary image. Spatial referencing information, returned as a spatial referencing object.